Dr. Sivana shows up to give our hero Shazam some trouble in this exclusive clip! EW has now learned a little about the character Mark Strong will be playing. Comic fans already know Sivana is Batson’s arch-nemesis, but there have been different backstories for the character over the years. In Shazam!, 14-year-old orphan Batson is selected by a 3,000-year-old Wizard to inherit his powers due to his pure heart. The film’s version of Sivana also encountered The Wizard as a kid — but he was rejected to receive his powers. Ever since then, Sivana has spent his life searching for a way to gain the abilities that Billy now possesses in a desire to live up to the expectations of a domineering father. He’s superpowered, super enthusiastic, and—wait—he’s actually 14 years old? 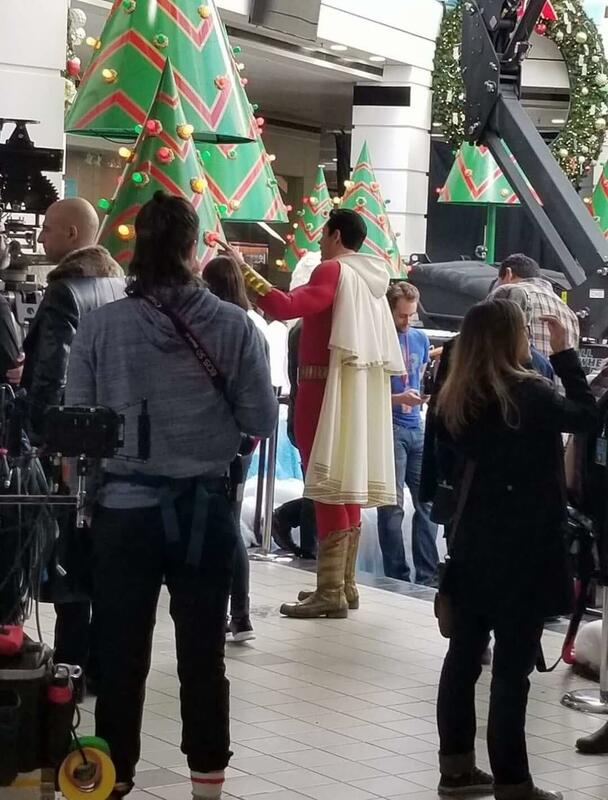 Filming on Shazam! has actually wrapped, but this bit of casting remained under the radar until now. Ross Butler, who played Reggie in CW’s “Riverdale,” has joined the cast of New Line’s “Shazam!,” Variety has confirmed. Milans will play one of the foster parents at the home where Billy lives. EXCLUSIVE: Cooper Andrews, who currently co-stars as Jerry, loyalist to the Kingdom, on AMC’s The Walking Dead, has come aboard the DC comic universe in New Line’s David F. Sandberg-directed Shazam!. Andrews will play the foster parent at the group home where Billy lives. 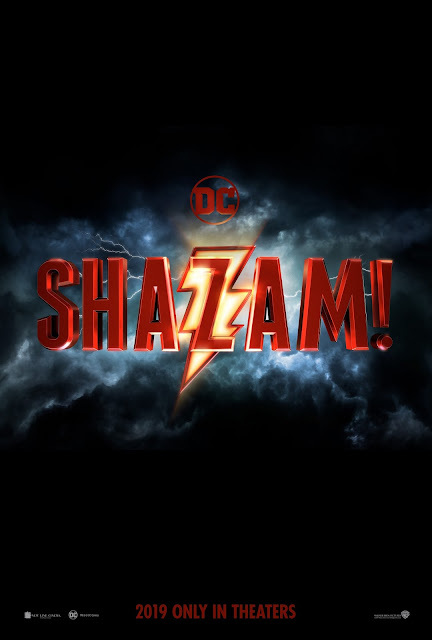 Fresh Off The Boat actor Ian Chen and Jovan Armand (Bella and the Bulldogs) have joined the cast of New Line’s David F. Sandberg-directed DC superhero film Shazam! Chen will play Eugene and Armand will play Pedro, friends of Billy’s from a group home. 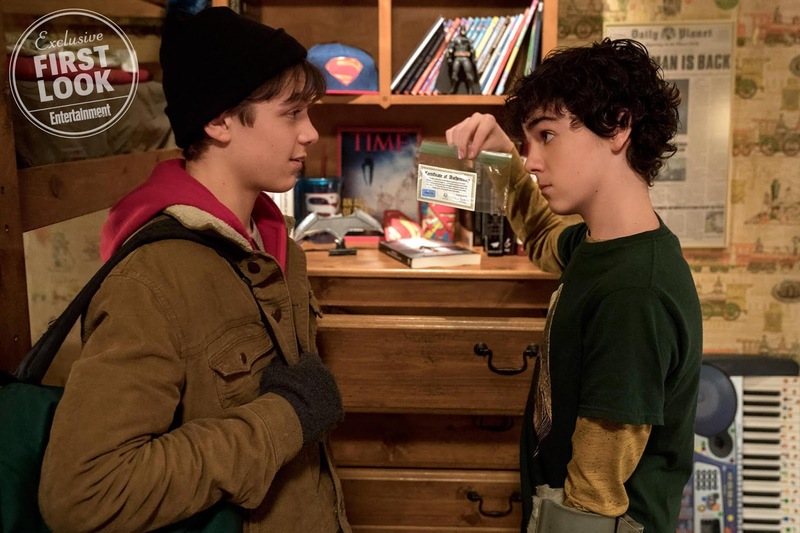 EXCLUSIVE: Following a breakout performance in New Line’s box office record-breaker It, Jack Dylan Grazer has been added to the cast of the studio’s DC Comic film, Shazam!. Grazer will play Freddy, Batson’s best friend and the only person who knows the truth about Shazam. Fulton will play one of Batson’s friends. Mark Strong is in talks to play DC Comics villain Doctor Sivana in New Line’s “Shazam,” TheWrap has exclusively learned. Known as Shazam’s archenemy and most frequent foe, in 2009, Doctor Sivana was ranked as IGN’s 82nd Greatest Comic Book Villain of All Time. In the most recent run of DC Comics the New 52 that “Shazam,” is loosely based on, Sivana is depicted as a respected scientist desperate to save his family from an unknown plight. With science having failed him, he turns to magic. Doctor Sivana’s team finds what he believes to be the tomb of Black Adam; while attempting to open it, the scientist is half-blinded by magical lightning to the face (which has the side-effect of letting him see magic). 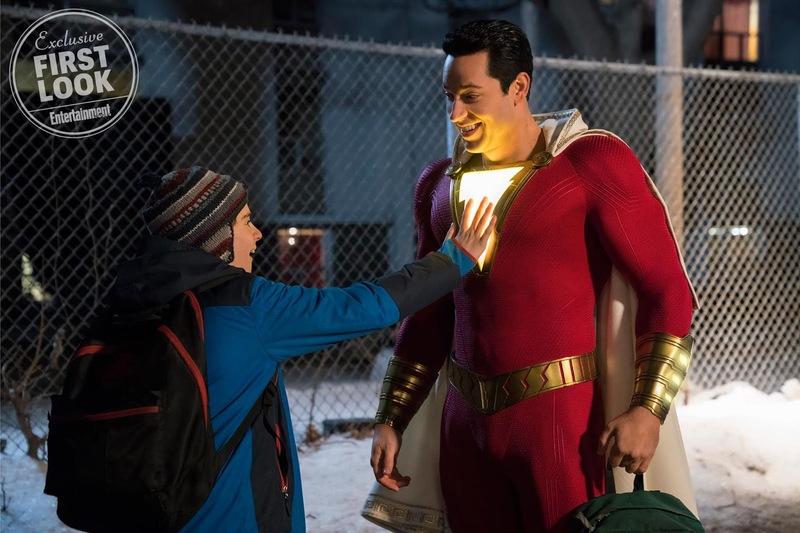 Zachary Levi will star in the DC comic book adaptation Shazam!, which follows a boy named Billy Batson, who can transform into an adult superhero by uttering the magic word "Shazam!" The name is an acronym of the ancient world gods and historical figures Solomon, Hercules, Atlas, Zeus, Achilles and Mercury, from which the big Batson derives his heroic attributes when in adult form. David F. Sandberg is directing Shazam! for New Line. The studio is high on Sandberg and sees him as a homegrown talent after putting out his first feature Lights Out in 2016, and releasing the director's Annabelle: Creation, the latest installment of The Conjuring universe. The $15 million horror sequel has earned a big $303 million worldwide since opening in August. Other actors in the mix for the role in the last few months have included John Cena and more recently Jake McDorman, the star of TV's Limitless. 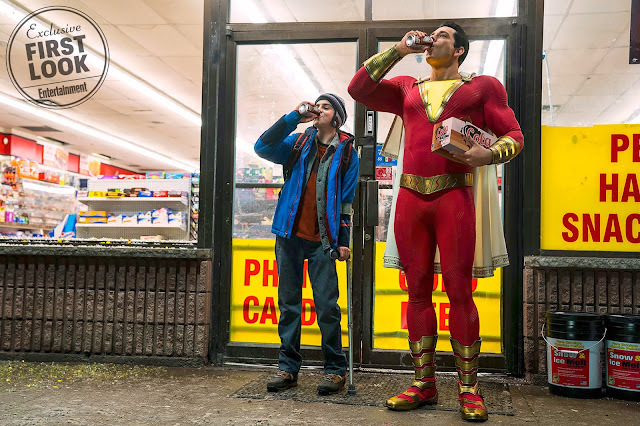 Shazam!, the story about a crippled boy-turned-Earth's mightiest mortal, looks to be the next DC Cinematic Universe movie that will go before cameras, sources tell The Hollywood Reporter. David Sandberg, the filmmaker behind upcoming Annabelle: Creation, is directing the feature project that hails from Warner Bros.’s sister division, New Line. The project is looking to go before cameras in January or February 2018 with a likely release in 2019, according to sources. Dwayne Johnson, who has long been attached to play Shazam! 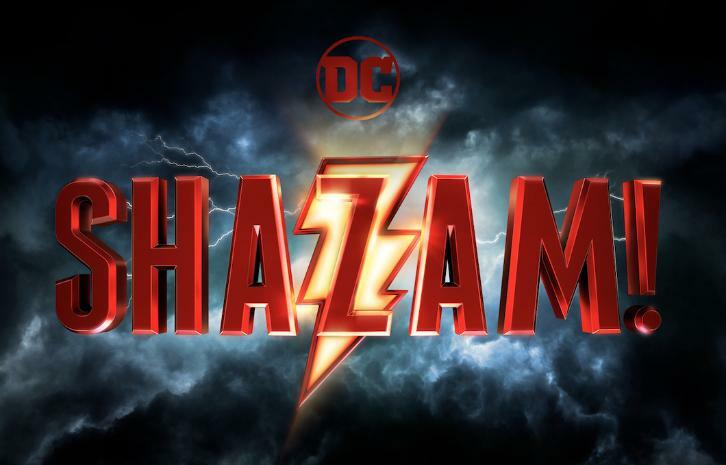 villain Black Adam, is not involved with Shazam! but is attached as star and producer of the Black Adam spinoff that is being developed concurrently to Shazam! Warner is feeing revived in its DCU with the stunning success of Wonder Woman and earlier this week slotted two DC movies in the release calendar for 2020. 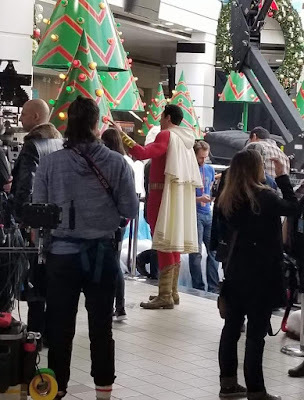 It has several movies teeing up on the runway but at this stage, Shazam! will take off first. Flash was delayed due to it lacking a director while a sequel to Wonder Woman is only in the early treatment writing stage. Joss Whedon is overseeing post-production and re-shoots on Justice League and won’t be ready to tackle a Batgirl film until after that movie is out the door. A sequel to Suicide Squad, which is closing in a on a director, is eyeing a mid-2018 start. Sources tell Variety that Darren Lemke is set to write the script with Dwayne Johnson attached to star. Johnson will play Black Adam, who in recent issues of the DC comicbook, is more of an anti-hero trying to clear his name than a villain.